Following a night of carousing on the town, Secret Service agents crashed the White House — well, more like crashed into the White House. The Secret Service has opened an investigation after two of its agents reportedly crashed their car into a White House security barricade on March 4. And yes, they were most likely drunk. According to The Washington Post, the accident occurred as the two agents were returning from a late-night party, where they had — you guessed it — consumed alcohol. Police officers who witnessed the crash wanted to arrest the two agents and subject them to sobriety checks, but sources tell The Post that an on-duty Secret Service supervisor at the White House stopped the authorities from putting the agents in handcuffs. Instead, the supervisor allegedly told the police officers to let the agents go home. The Post identified the two agents as Mark Connolly and George Ogilvie. Connolly currently serves as the No. 2 agent in President Obama's security detail. Both agents have been reassigned to "non-operational" posts, a Secret Service spokesperson said this week. Ironically, the two agents were reportedly coming back from a send-off for outgoing Secret Service spokesman Edwin Donovan. The retirement party was held at a bar — of course. There were also a number of witnesses to the crash — including the police officers — because authorities and Secret Service agents alike were already outside the White House at the time, investigating a suspicious package. This is just the latest humiliating incident for the Secret Service, which hasn't been having the best year. In September, the agency came under Congressional scrutiny following a break-in at the White House. 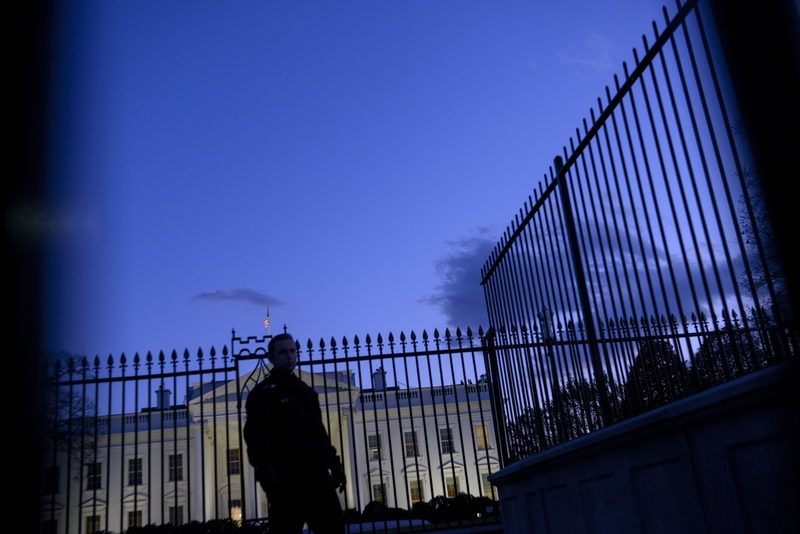 The Secret Service initially tried to downplay the scary episode, claiming the intruder was not only unarmed, but also stopped just inside the White House doors. Later, the agency's story began to unravel, as it was revealed that the White House intruder was armed with a knife and made it all the way to the East Room before being stopped by an agent. The White House intruder episode and ensuing Congressional investigation eventually led to the resignation of Director Julia Pierson, who was the first woman to helm the agency. But the incident also raised a slew of questions about security for the president, as it was hardly the first security lapse for the agency. Also in September, President Obama was in an elevator with an armed guard who was not authorized to be with him — something that the president wasn't even aware of until Pierson testified before Congress. This latest incident certainly isn't the best start for new Secret Service Director Joe Clancy, who recently took the reins from Pierson. Clancy has already turned this drunk-driving investigation over to the Department of Homeland Security.